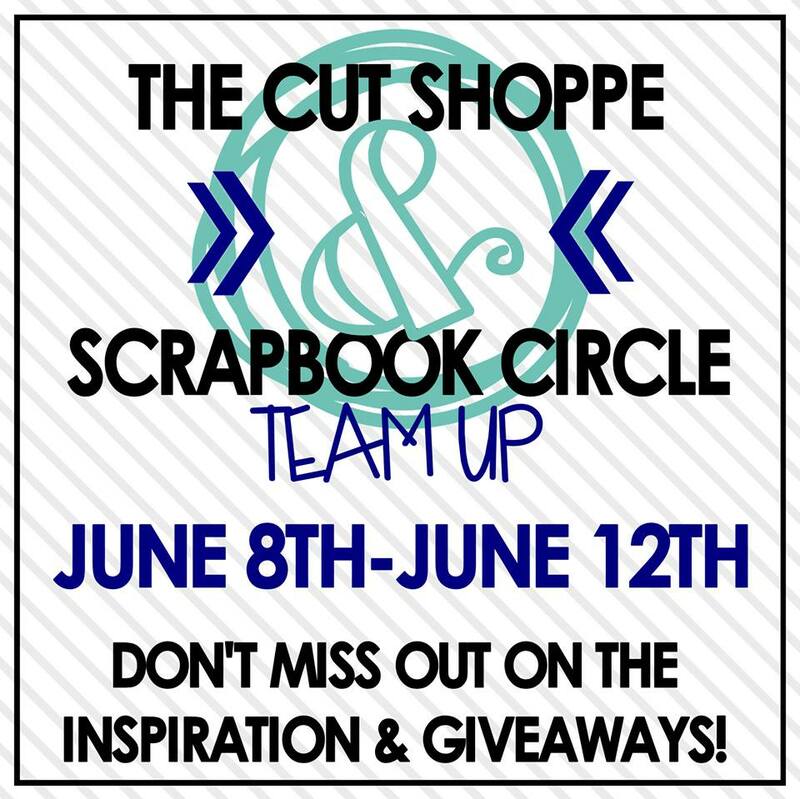 This week we are teaming up with The Cut Shoppe to bring you loads of inspiration using our June Have a Little Fun Kit plus our favorite cut files from The Cut Shoppe. My favorite cut files are usually backgrounds. I love to cut them out in white cardstock and back them with fun patterned paper and fill in some of the shapes with other photos, other patterned paper or embellishments. I used the Cut Shoppe's Geo to Go cut file to cut this fun background. I also used a word file from Words to Live By. Since I cut it out of the Bella Blvd gray striped paper, it was getting lost in my page. So I off set the file in the Silhouette software and cut the offset shape in bright blue cardstock to make the title stand out. I loved working with the Cut Shoppe files. They are so fun and on trend. You will definitely see me using them a lot in the future. Now it is time to hop along with our Scrapbook Circle team and comment as you go. We will be selecting a winner from all of the blog hop comments to receive $20 to The Cut Shoppe Hop. 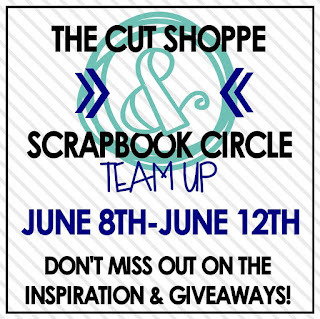 Be sure to stop by The Cut Shoppe blog and hop along to see what their team created with our June kit. Comment on The Cut Shoppe hop and you are entered to win one of our June Kits! The next stop on the hop is the talented and fabulous Audrey Yeager! Hope you find loads on inspiration are you blog hop here at Scrapbook Circle and then over at The Cut Shoppe too! Filling this background with photos and paper looks so great. Neat layout! Love how you filled in the cut file with pp, photos, and elements. I love how the embellishments fit perfectly inside some of those raindrops! 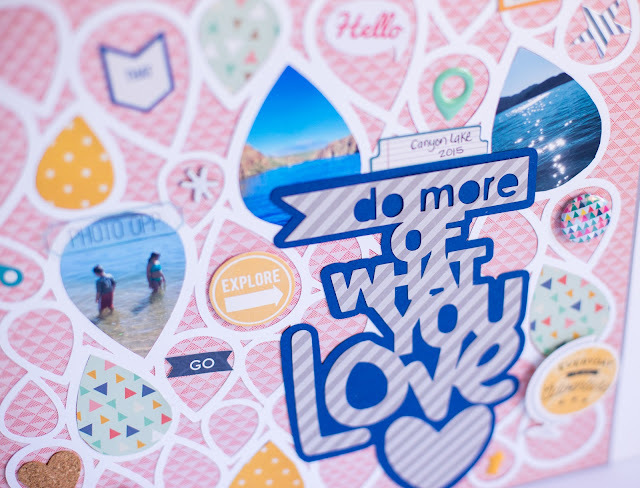 Love the way that you used the Geo to Go cut file, filing in some of the space with your pictures and embellishments. The title offset in that shade of blue was just perfect with your pictures. Thanks for sharing. Very nice. I love the way the vibrant blue title and photos pop against the pink background. So amazing!! I love the embellishments and that you put the photos in the shapes. Thanks for the inspiration. Love the title and how you filled in the background cut file with papers and photos! Fabulous! What a fun background, love how you selectively filled the teardrop shapes! I love how you used your photos in he cut file! Awesome layout! Fun background. I'm so behind in crafty tools - I can't do an electronic die cut. Love the geo tag background! Love the photos in the larger drops! 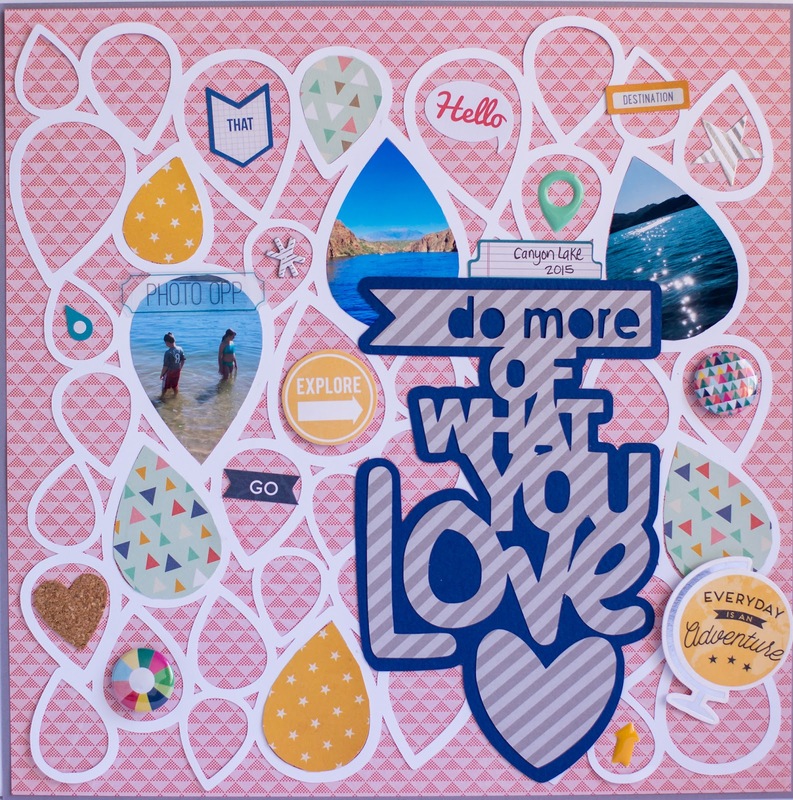 Love how you used patterned paper for the back ground then filled some of the spaces of the cut file. Great layout!